A great race with Centro still the king. Bowerman Track Club tried to rabbit the race to set it up for Hill and Evan Jager but ultimately only Hill was able to take advantage as he claimed his second straight U.S. title in a meet-record 7:38.60. 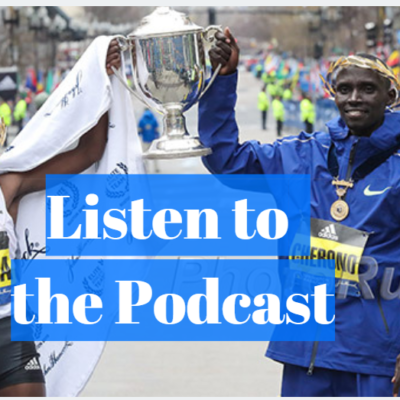 Chelimo was the surprise runner-up while Galen Rupp was eighth 27 days after winning the Olympic Marathon Trials. Shannon Rowbury dispatched the field with ease the final 400 and now turns her attention to a medal at Worlds. Abbey D'Agostino will join her on Team USA after a strong second-place showing. Laura Roesler (800) and Cory McGee (1500) also made it onto Team USA but men's 800 runner-up Erik Sowinski will have to wait to see if he'll get an at-large bid from the IAAF for World Indoors. The future is very bright for the US in the vault and high jump. A great final day at USAs. Laura Roesler and Ajee Wilson both faced some trouble in their prelims but ultimately advanced to Saturday's final unscathed. Boris Berian and Erik Sowinski had an easier time of it on the men's side. Race Results Weekly recap of day 1 with link to post-race videos. More LRC coverage coming. Some idiot scheduled it so the meets go on at exactly the same time. "[Doping] is an issue very near and dear to my heart, and is something that is very upsetting to me. But, I have to look forward to the things that I can do, and not things that I can't control, and what I want to accomplish. I still, God willing, can have another shot at an Olympic medal that I can have the right way. I just look forward to the opportunities which are ahead of me. I'm trying really to focus on that." Infeld and Houlihan are among the favorites, but neither will be going to Worlds as they don't have the standard. You heard that right - somehow a 15:00 5k runner who has a World 10k medal doesn't have the 9:00 standard. Only Rowbury, Hall, D'Agostino and Lauren Paquette have the World Indoor standard of 9:00. This is most definitely the race of the meet. Can Rupp accomplish the unthinkable and make the 3k team less than a month after winning the Olympic Marathon Trials? He'll have to beat a tremendous field that also includes Garrett Heath and 41-year-old defending World Indoor silver medalist Bernard Lagat. Rowbury and Martinez are the favorites for the spots on Team USA, but there are plenty of familiar names in this one including Katie Mackey, Heather Kampf, Treniere Moser, Morgan Uceny, Alexa Efraimson and the rapidly-improving Amanda Eccleston. 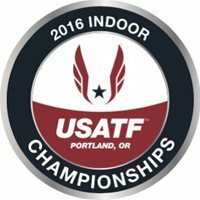 2016 USA Indoors Preview, M 1500: Matthew Centrowitz Shoots For Repeat; Who Will Join Him on Team USA? Centro, who ran a 3:50.63 mile at Millrose, has been on fire this year and is a near-lock for the team. Three other men have the IAAF standard: Robby Andrews, Cory Leslie and Ben Blankenship. Wilson, Roesler and Treniere Moser are the only women with the IAAF standard, so two of those three women will be your team for World Indoors. Berian has the top time in the field and as the only guy with the World Indoor standard, he's guaranteed a spot at Worlds. But can he hold off a challenge from U.S. indoor champs Cas Loxsom and Erik Sowinski? "It was a dress rehearsal that had us salivating at the thought of the long weekend in store." *MB: Salazar admits it's been a quick turnaround for Rupp: ""There have been ups and downs." "The 3,000 is a little short for me, but I always want to win,"
Jager will be working on those tactics when he tries to win the 3000 at USA Indoors this weekend. Salazar: "There always are people entered who don't run. But I'm not going to worry about it. It's out of our hands. There is nothing we can do about it." 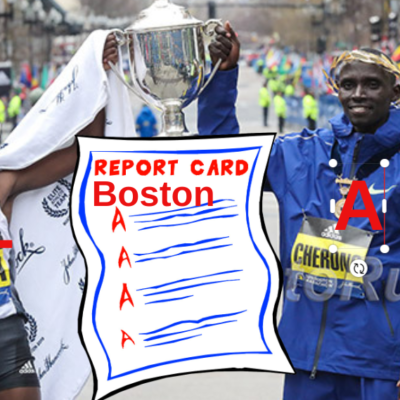 *LRC Yet Another USATF Controversy? Might Galen Rupp Have To Qualify For World Indoors Out Of The Slow Heat At USA Indoors? A brilliant move to try to get more ticket sales. The kids will already be there - so why not stick around for the pro action?